May is Mental Health Awareness Month, a time to share experiences and facts, stand up to stigma, honor the mental health community, and welcome those who are joining us as advocates, friends, and family. In this spirit, Thresholds has planned an exciting month to help you advocate, participate, and celebrate! Here are three easy ways to get involved! Each week, we’ll be posting a variety of content inspired by a weekly theme. Follow Thresholds on Facebook, Twitter, and Instagram to check out inspiring stories and bust mental health myths with facts. Share our content with your network, and be part of the movement for change. With 1 out of 5 people in America experiencing mental illnesses in their lifetime, all of us have either experienced a mental illness or loved someone who struggles with mental health – it’s the secret we all share. Beginning a conversation, proudly showing support, or sharing how mental illness has impacted your life can empower others to share their own story and creates an opportunity for connection and belonging that extends far beyond you. When you share your story on social media, use #HomeHealthHope to join the conversation! Thresholds might even reach out to see if you want to be highlighted as one of the community stories we’ll be featuring throughout the month. Tell your story and show the world why mental health matters to you. We’ll be posting tips and tools to help you get started. Thresholds is working for mental health policy change through our Roadmap to Mental Health Reform platform. You can sign up to receive our advocacy alerts or sign our petition to support change in Illinois’ fragmented mental health system. Thresholds is joined in honoring Mental Health Awareness Month by many partner organizations, filling Illinois with events and opportunities to get involved all month long! Visit the Chicago Mental Health and Wellness Fair, take part in NAMI’s mental health rally at the Thompson Center, join the Kennedy Forum Illinois and host an On the Table conversation about mental health, and purchase some vibrant artwork created by Thresholds clients at the DMH Art Fair: There is Healing in Art. Looking for more ways to support? 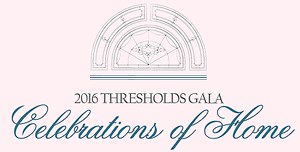 – Join us at the 2016 Thresholds Gala: Celebrations of Home to celebrate and raise critical funds for our supported housing. This entry was posted in News, Social Media and tagged #RoadMap2MentalHealth, advocacy, chicago, events, mental health, Mental Health Awareness Month, mental illness, NAMI, NAMI Chicago, Road Map to Mental Health, Thresholds. Bookmark the permalink.